Size of this preview: 757 × 600 pixels. Other resolutions: 303 × 240 pixels | 800 × 634 pixels. 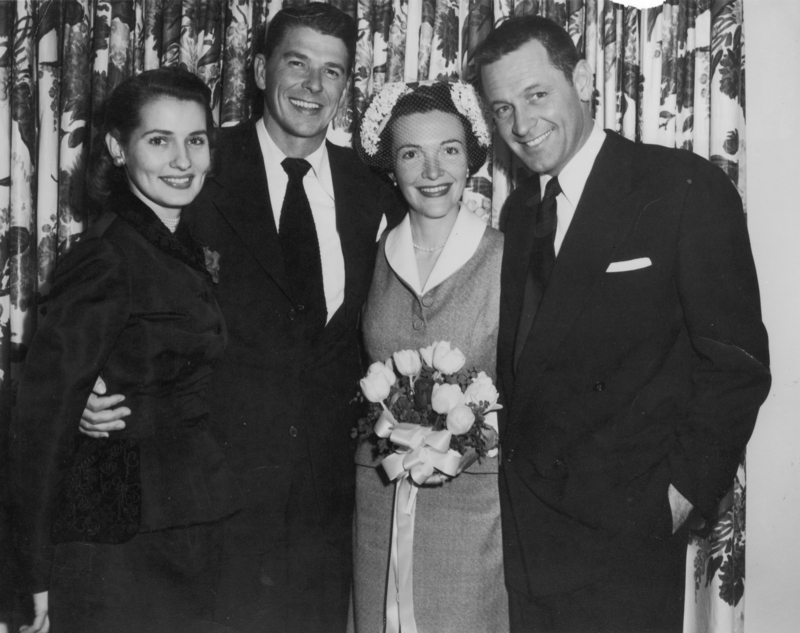 Description: Nancy and Ronald Reagan — 1952 wedding day picture, with best man William Holden and his wife Brenda Marshall. No copyright renewal listed. This page was last modified on 20 April 2017, at 18:28.